When Darren Aronofsky, the guy that made drugs truly devastating in Requiem for a Dream and ballet truly terrifying in Black Swan, makes a religious epic, you just automatically wait for something surprising. Maybe Noah’s sin is that it isn’t, really, such a different take on the biblical story of the man that build the ark under orders from God himself – it’s more subtly subversive than Aronofsky’s other movies, it packs a whole lot more of special effects and fantasy storylines, and it isn’t too interested in being “artsy”. If those are all cons to you, you might still want to stick around for the poignant drama of Noah’s story, perfectly milked by a more restrained (but not less ingenious) Aronofsky, who does wonders with his cast and all the big budget antics US$125m can afford. Put your thirst for religious subversion aside and you’ll find an interesting reflection on the renovation of life, the power of nature and the nature of mankind’s moral compass. 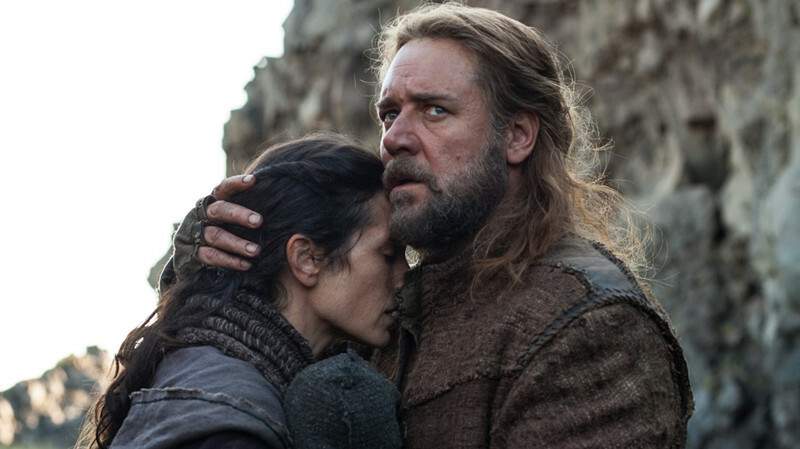 Russell Crowe’s Noah takes a lot of mileage from the actor’s uncanny ability to express internal conflict through physicality, painting a beautiful picture of a man learning to find his God within himself, and not on voices he hears or ethical decisions he’s led to take. Couple that with Jennifer Connelly’s affecting as ever performance, and you have more than enough to make Noah worth a second shot. Rob Marshall has long been terrified of being tagged a “musical filmmaker”. Given his prior credits on Broadway (with six Tony Awards nominations under his belt), that might seem a weird thing to say, but look closer at Chicago and Nine and you can see it: they’re all movie musicals that make up excuses for being musicals – maybe the singing and dancing is in someone’s head, or they’re all staged in the same set. With Into the Woods, there’s no “why”, there’s just characters singing at and to each other for no apparent reason other than the fact that this is a musical. Getting into the same wavelength as the movie fairy-tale storytelling, ripped from the stage musical by Sondheim and James Lapine, who also wrote the script for the film, might be a little harder, but the rewards are worth it. Marshall and DP Dion Beebe (Edge of Tomorrow) have a lot of fun with this newfound freedom, concentrating on the movement of the actors and their faces as they sing, leaving the showmanship to them and enthralling the audience in this moral retelling of classic tales like Cinderella, Jack and the Beanstalk and Little Red Riding Hood. 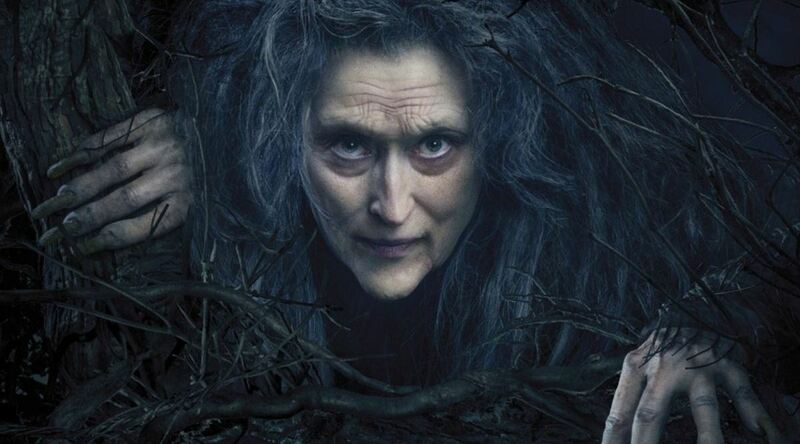 Lucky for them, the cast amazes: Meryl Streep is there to upstage everyone as The Witch, but James Corden, Emily Blunt and Anna Kendrick deliver beautifully, and Johnny Depp’s quick cameo is his theatricals at their best. In a lot of ways, Young Adult is the spiritual sequel no one knew Juno needed. Reuniting writer Diablo Cody and director Jason Reitman, the team responsible for the 2007 surprise hit, the movie is a pathetically sad portrait of a generation that doesn’t know, doesn’t care and doesn’t strive to grow up. Charlize Theron’s Mavis Gary is stuck in the same jealous, mean-girl mentality since high school, even though her pathetic little life as a YA author doesn’t support that attitude anymore. So when she hears her ex-boyfriend (Patrick Wilson) is getting married, she can’t resist going back to her small town and trying to steal him back. In some ways, Young Adult seems like self-scolding for Cody, whose indulging tendencies are clear in her writing, but that just makes it more relatable and (though in a heartbreaking way) funny. Once again, Theron is great in a role that proves she has amazing range and is still underappreciated by Hollywood. She doesn’t play Mavis as a grown-up version of Ellen Page’s Juno, because this is a movie way less “hip”, about a woman finding that trying to be “hip” isn’t all there is to the world. Patton Oswald is also outstanding as a disabled nerd who, in a twist of all the Hollywood movie conventions, doesn’t have a perfect golden heart and didn’t get what he deserved from life after high school. Cody’s brilliance is essentially in seeing her characters’ flaws, and her own flaws as a writer, and loving them so hard we can help but love them too. Ann Dowd’s casting and performance alone are a reason to give underestimated indie flick Compliance a second look. The character actress’ knack for portraying “every day, working-class women” is used brilliantly by director/writer Craig Zobel (Z for Zachariah) to create empathy for Sandra, the manager at a fast food restaurant who gets prank-called, and then catch us by surprise when we realize maybe she’s just as much of a monster as the titular villain of the movie, played with sliminess by Pat Healy. By playing Sandra with such commitment to understanding every one of her attitudes, Dowd makes Compliance, by design, a guilt-ridden trip of discomfort and social commentary. We’re with her all the time, so maybe we’re guilty too. The fact that the movie was written after similar events took place all over the country only makes it more urgent, and more intriguing. As a study on obedience and the conditioning a hierarchical society imposes on us, Zobel’s movie is a masterclass, a true indie classic waiting to be rediscovered. And don’t be surprised if Dreama Walker’s vivid performance as the victim of the ill-willed prank call makes you uncomfortable – that’s the whole point of it. No wonder Michel Gondry went back to France for his last two features – Be Kind Rewind’s cold-as-ice reception by the audience and by the critics must have scared the French auteur off of Hollywood. 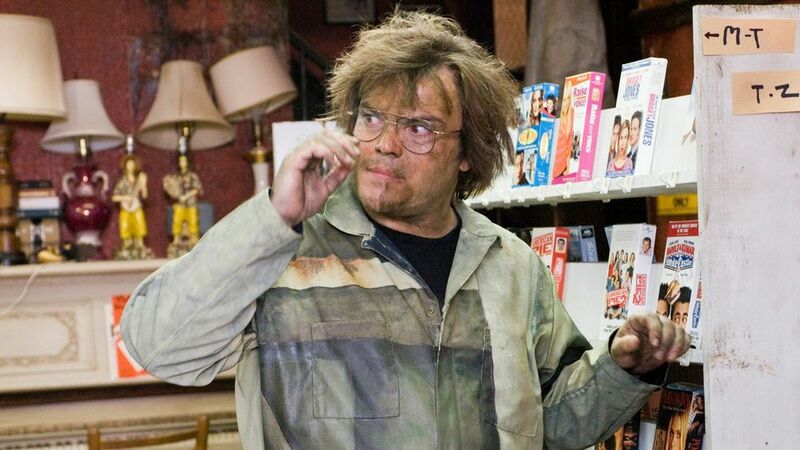 The movie, starred by Jack Black and Mos Def as video-store clerks who have to make sketchy remakes of movie classics after an accident erases every tape in the store, remains as one of the most underestimated odes to cinema in the last decade. Gondry’s passion is obvious throughout the film, and the amount of fun he and his actors have when reimagining movies like Robocop with the minimal possible budgets should be illegal. With a touching ending, endearing supporting turns by Mia Farrow and Danny Glover, and the kind of cinematic magic only a skillful director like Gondry could conjure, Be Kind Rewind warrants a second viewing to anyone truly passionate about the art and meaning of filmmaking and its relationship with memory. Canadian actress and filmmaker Sarah Polley’s second feature-length foray into the director’s chair is as heartrending as her celebrated debut Away From Her, for which she earned an Oscar nomination. It portrays a married couple’s life in its most intimate details and then blindsides the spectator by the arrival of a dark, beautiful stranger (Luke Kirby) that tugs Margot’s (Michelle Williams) heartstrings. By making Margot the lead character, Polley already deconstructs the sexist ways cheating spouses are treated by Hollywood movies, but she’s not happy with just that – her generous look at Margot’s headspace, and Williams’ fearless, brilliant performance make Take This Waltz a brutally honest look at the way we all deal with our affections and our desires, and the fundamental loneliness of life. Seth Rogen is surprisingly great as Margot’s adorable cooking husband, finding depth and warmth in a character that could come off as a stereotype, had the actor and the writer (Polley again) let him. And while we’re at well-known comedians turning in brilliant dramatic performances, a pre-I Smile Back Sarah Silverman is also great as Rogen’s recovering alcoholic sister. She’s yet another embodiment of human urges gone awry in a movie that refrains from judging any of its characters, analyzing that part of human condition with bite and sensibility combined. The comparisons with Terrence Malick guaranteed Ain’t Them Bodies Saints some critical praise, but the audiences didn’t really take to the slow, strange rhythm of his film, an ill-fated love story between criminals in the American desert. David Lowery’s first notable feature-length as director and writer is much more about subtleties and feelings than it is about plotlines and narrative beats. 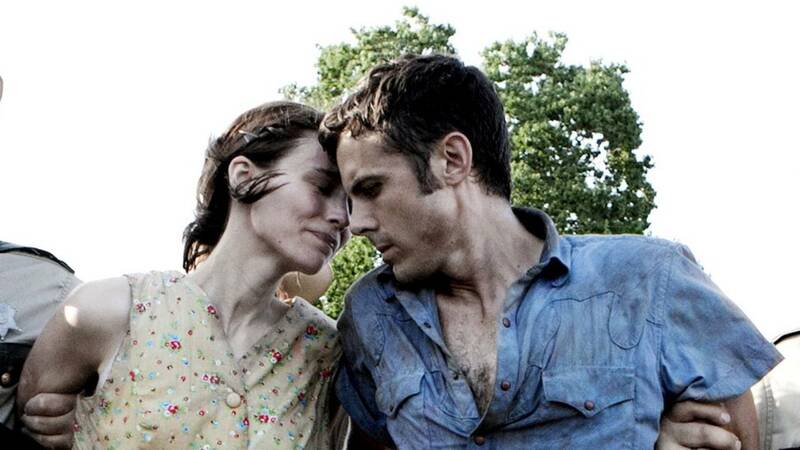 Like Daniel Hart’s strange score, punctuated by the sound of mismatched claps, Ain’t Them Bodies Saints is contemplative and arid tale carried by tremendously sensitive performances and a persistent sense of dread, which fills the film despite its very scarce action. Casey Affleck and Rooney Mara, be it intentional or not, deliver twin performances that don’t come together in the same frame until the very end. Quiet, tormented and subtle, they truly feel like lovers set apart by circumstances, and Ben Foster’s smart turn as a police officer that court Mara’s character injects moral ambiguity into a film that feels effortlessly devoid of any ethical discourse. This is a movie about violence and the funny way it has of upending people’s lives even after they paid their dues for it – and it is spectacularly made. 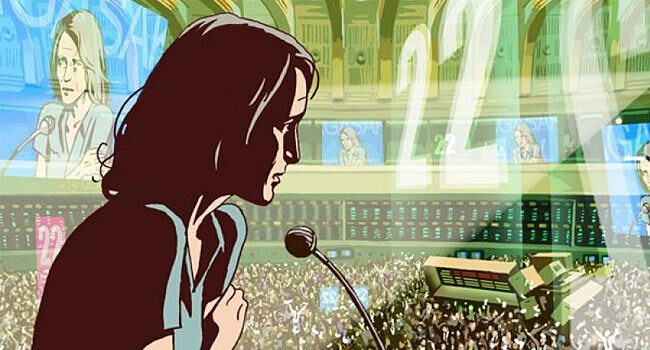 The Congress’ weird and innovative technique is not a good excuse for the way the movie was received by both critics and audiences, since Ari Folman’s previous effort, animated documentary Waltz with Bashir, was celebrated for the same brand of weirdness. What seems to bother the movie’s detractors is not the way it mixes animation with live-action filmmaking, or the way it distorts Robin Wright’s persona to make her a “problematic” star when she never really was one – it’s the science fiction and fantasy elements Folman uses to tell its dystopic future story, in a truly devastating take on the popular trend of post-apocalyptic societies. Maybe it’s even the way the director/writer keeps his critique of modern society and escape mechanisms so on-the-nose the whole time, even when The Congress plunges into more surrealistic areas of storytelling. In the end, Folman’s movie is a beautiful work, with stunning animation and a pretty convincing point about the way we’re making ourselves blind, deaf and mute to the real world and escaping into this deluded sense of who we are and who we can be. It’s a sad, sad movie, and a terrifying one, because it’s all too real in a strange way – and Wright is absolutely outstanding in it, never better than in the brilliant scene in which the movie studio (Miramount – we see what you did there, Folman!) has to register all her emotions so they can digitally insert her in any movie they want. Playing an enchanting dance of dialogue with Harvey Keitel (in what is probably his best performance in a long time), Wright is a tragic heroine if ever there was one, a defiantly real and flawed human being in a world where everyone wants to be perfect, to live in their own personal fantasy. The Congress is a beautiful work of art, and needs to be recognized as such.